Saving unsprung weight from the front of your car while increasing braking performance, plus they bolt on just like stock! This is great alternative to a full on Big Brake Kit since the stock C5 RS6 is a stout 365mm (14.4") and most may not want to spend $2,000 plus for a full Big Brake Kit. We basically brought the same high performance great cooling designed rotor to these drop in (fit like stock) front rotors and at a 1/4 of the price or less of a full Big Brake Kit. 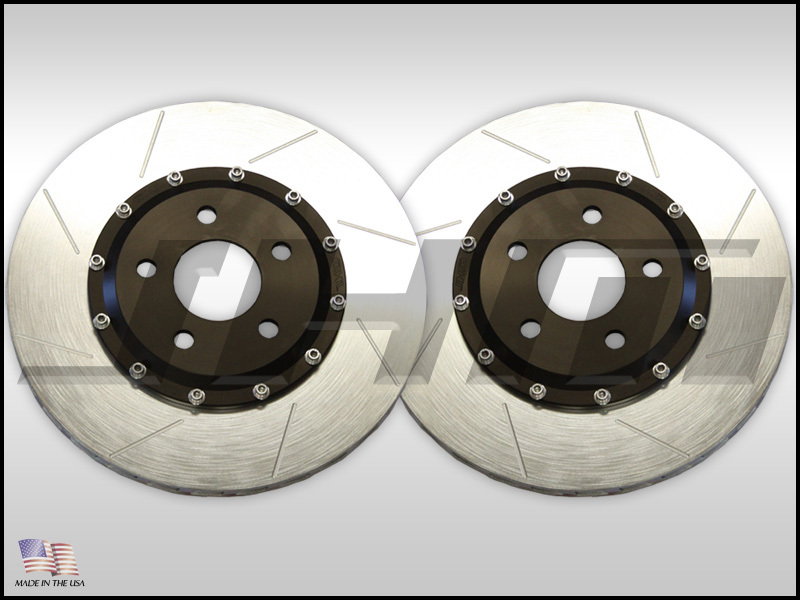 We worked closely with a race brake manufacturer that supplies many NASCAR racers and a couple major brake kit companies. Due to their expertise we chose to have them build us the outer rings to our specs to fit the C5 RS6. 10 attachment points with 3/8 inch zinc plated bolts for durability and strength. 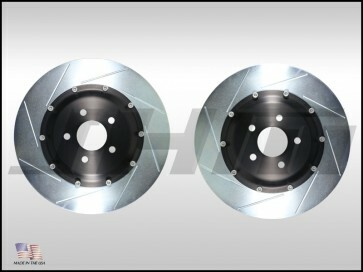 NOTE: We also have RS6 rear rotors available. Please see this section for more information.